There are three upstream dams on the Boise River drainage managed by the Bureau of Reclamation and the U.S. Corps of Engineers that provide for both irrigation water storage and flood response. The need for water storage and space reserves for flood response is a balancing exercise based upon snow pack levels, historic runoff records of snow pack, and reservoir level conditions. Attempts are made to keep flows below 6500 cubic feet per second (cfs) in the spring. However, this flow rate is generally exceeded about once every five years. For the Boise River, 7,000 cfs is considered to be at the lower level flood stage; 16,600 cfs is considered a 100-year flood event. The City of Boise operates and maintains a series of flood control structures on each of the four main foothills gulches (Stuart Gulch, Crane Gulch, Hulls Gulch and Cottonwood Creek). Most of these structures were either installed or upgraded following a major wildfire in the fall of 1996. While these facilities provide vastly improved flood protection, these will not completely protect property in an extreme flooding event. The City of Boise has a Floodplain Ordinance for the Boise River and foothills gulches. The ordinance applies to properties located in a floodplain. Federal Emergency Management Agency (FEMA) insurance rate mapping applies to development within identified floodplains and areas of shallow flooding. Questions regarding floodplain areas within Boise should be directed to the Planning and Development Services Department at 608-7100. Streets can flood during during heavy rainfall events due to clogged storm drains. 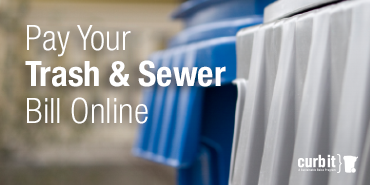 Storm drain maintenance is the responsiblity of the Ada County Highway District (ACHD). Please contact ACHD at 387-6100 to report street flooding problems.